Hey y’all! If you’re not a blogger, you can just breeze on by today’s post, but I’ll get back to non-bloggy stuff with my next post – promise. 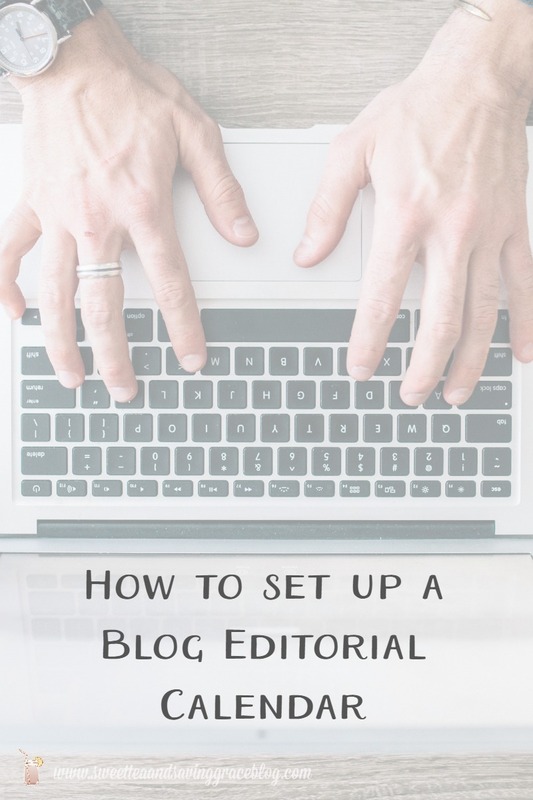 🙂 Today, I want to share something I’ve been asked about several times – How to Set Up a Blog Editorial Calendar. I went through several different types of editorial calendars, both paper and digital, before finally finding one that works the way my brain works. It all started with an awesome class that I highly recommend, Content Brew from Blog Clarity. Last year, when I came back from my blogging break, I found this self-paced course and decided it was worth the minimal investment. 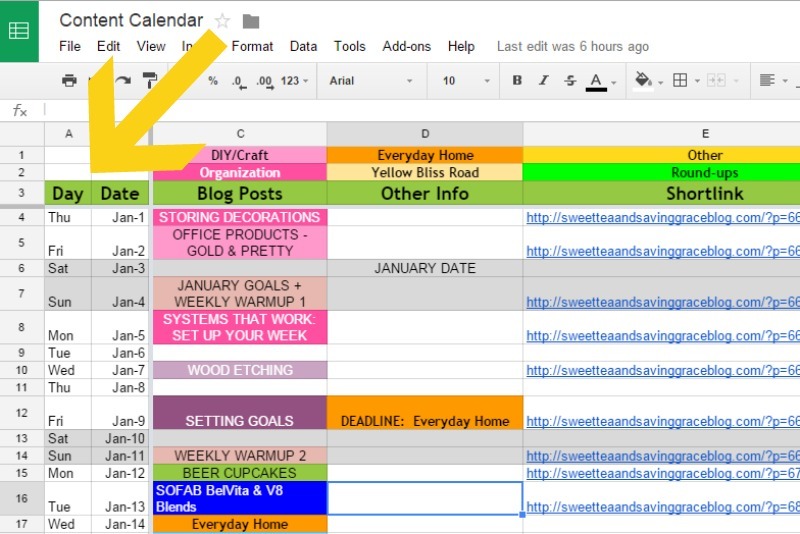 Besides the fact that you learn ways to generate tons of content for your blog, the best part was the template for an editorial calendar in the form of a Google Drive spreadsheet. I have done some pretty hefty edits to that template to make it my own, but I wouldn’t have what I do today without that course. I know it’s kinda tough to see – let’s get to the close-ups, shall we? The first two columns show the day of the week and the date. You’ll also notice I have marked the weekends with gray. I don’t typically post on the weekends, but this also helps me keep up with the week just by looking at the calendar. Next up, I have a column for the title or topic of my blog post, then “Other Info” for things like giveaways, blog hops, or contributor posts. Next I have a place for my shortlink. Once the shortlink is posted here, I know at-a-glance that each post is written and scheduled. If the shortlink is missing, that lets me know that I need to either write or edit a post. 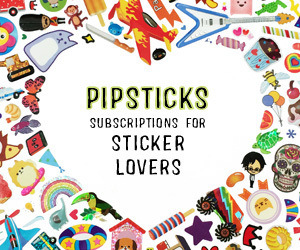 I also have a “Notes” column, which I use for post ideas, giveaway information, etc. 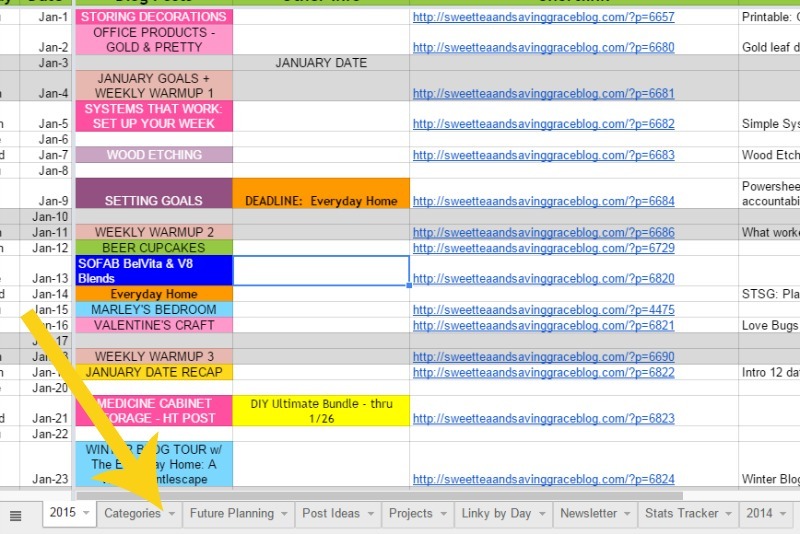 My blog posts are color-coded by category, and the categories are listed at the top of my calendar and also color-coded. It helps me to spread my categories out over the month, and it also helps me to make sure I cover all of my topics regularly. 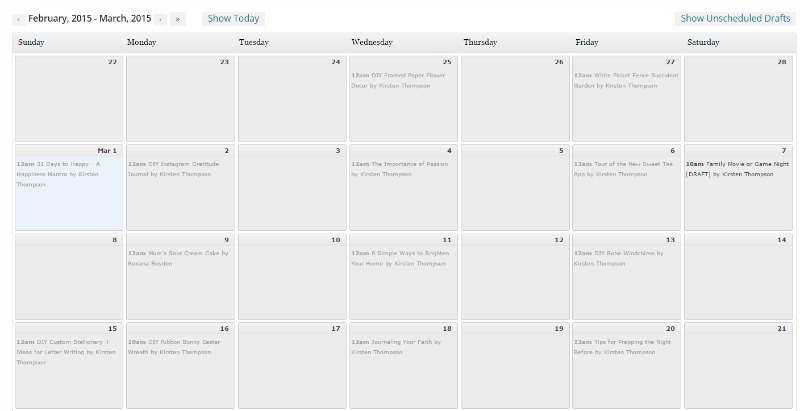 At the bottom of my editorial calendar, I’ve added several tabs for different blog-related things. On the “Categories” tab, I list all of my main categories and subcategories for my blog posts. I have galleries on my blog for the main categories, and they’re broken down into subcategories, so I make sure I select the correct ones when writing a new post. 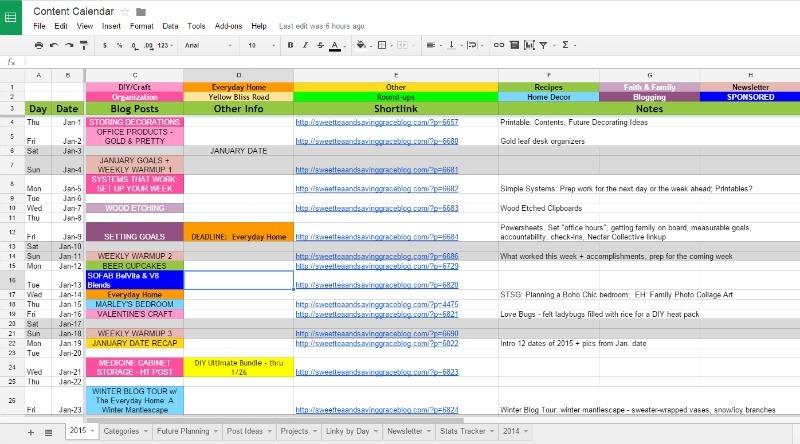 The “Future Planning” tab is something I created at the end of last year. It was basically my brainstorming for the year but it’s been pretty handy. 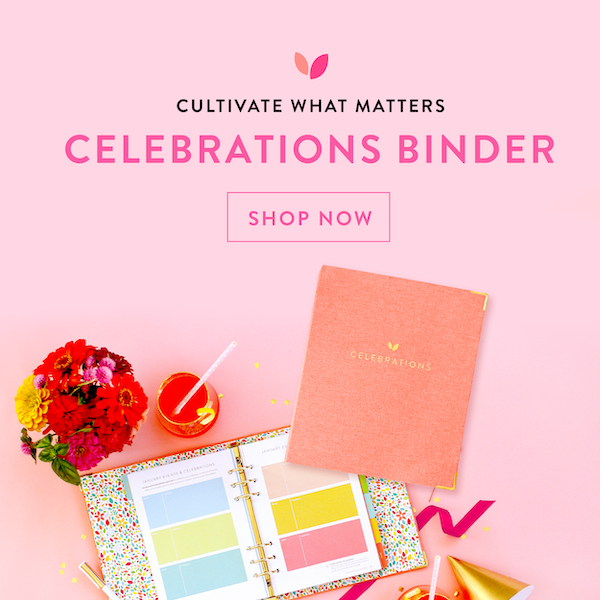 I listed recurring themes & holidays for each month or season along the top, then listed ideas for each of my main blog categories that might correspond to each month’s theme or holiday. It’s been a great way to come up with blog content in a pinch. I also have tabs for “Post Ideas” and “Projects”. The “Post Ideas” tab is where I can do my brain dump. Any time I have new post ideas, I list them there with notes. The “Projects” tab is for my bigger projects, like ecourses, ebooks, etc. that I might be working on. The “Linky Party” tab lists linky parties by day of the week. 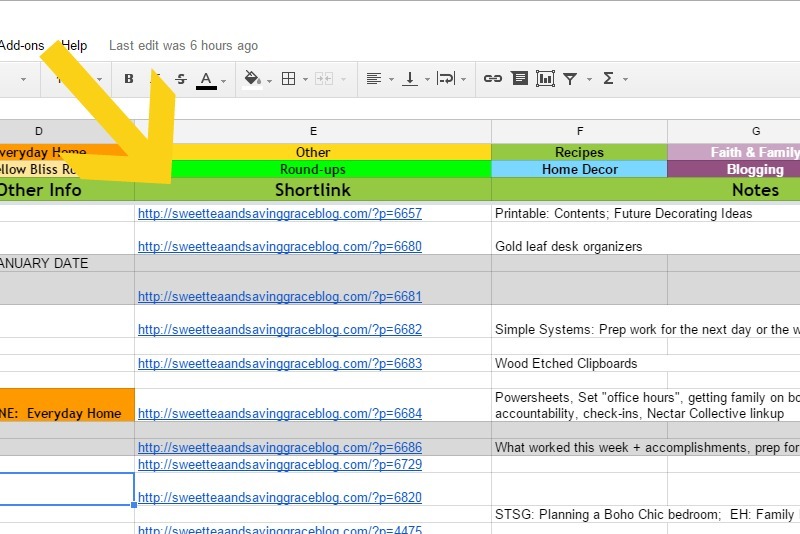 Remember those shortlinks I list in my editorial calendar? 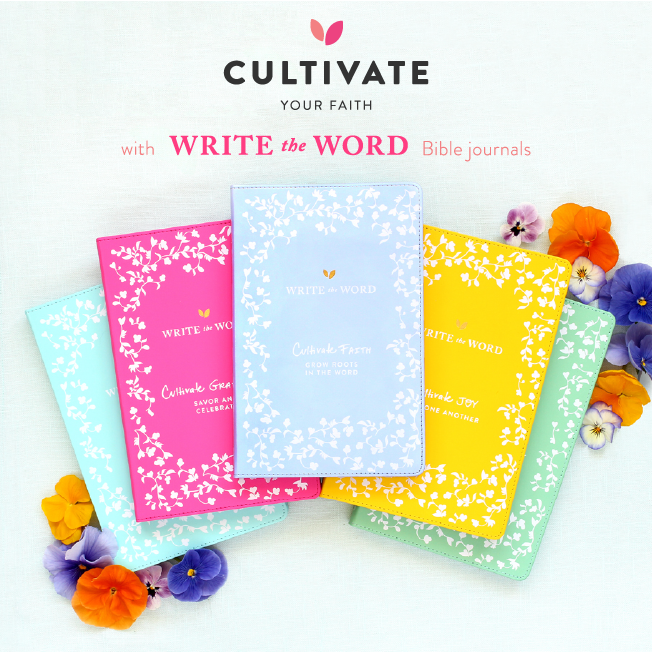 I can just grab those and pop them into each day’s linky party – easy peasy. One last tab that I added is for my blog stats. I add them for each social media channel, along with my Google Analytics numbers, at the end of the month. I also use the WordPress editorial calendar plugin. 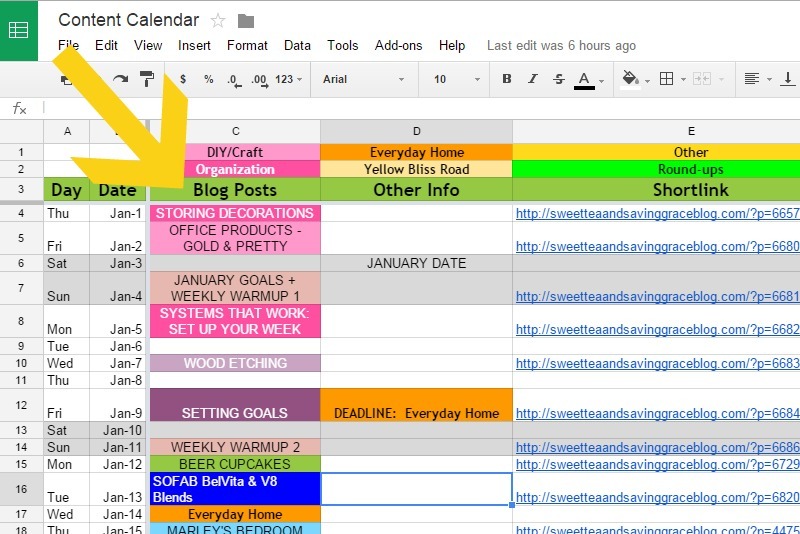 When I get several posts lined up in my spreadsheet, I just pop them into my WordPress calendar and start writing. And that’s it! That’s how I keep my editorial calendar set up and organized. 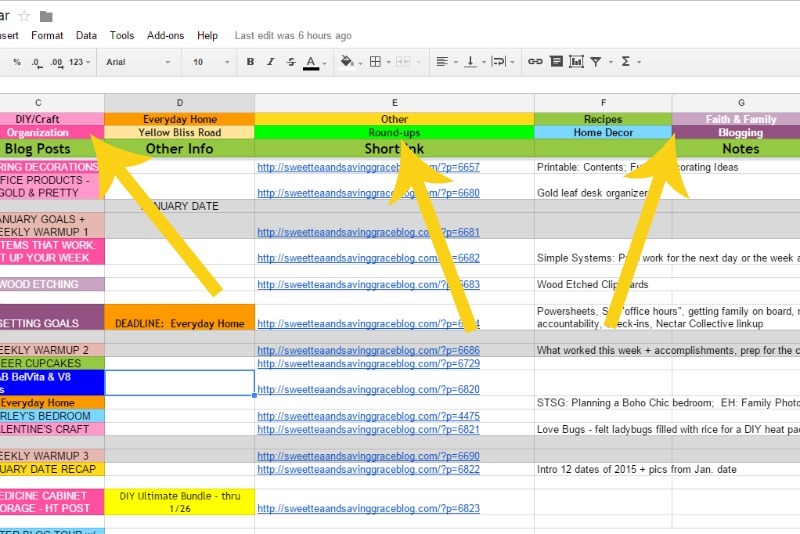 I can honestly tell you that I couldn’t keep up with all of my blog-related tasks without this spreadsheet. 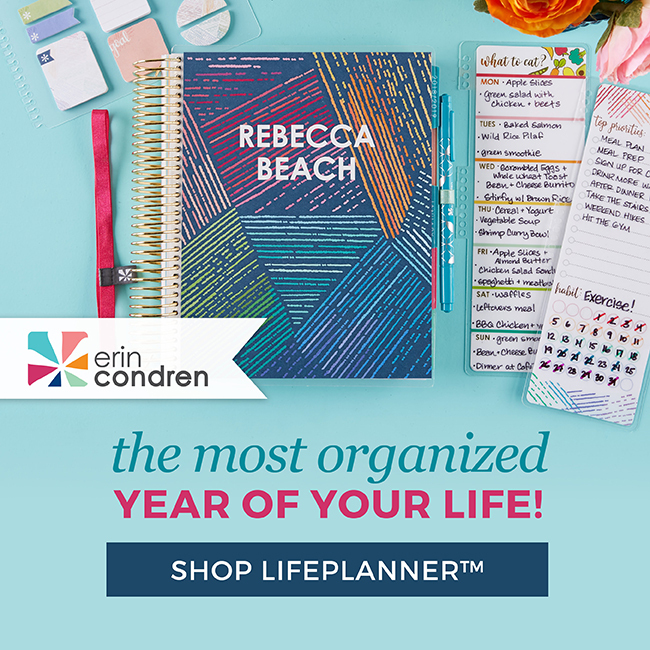 I hope this gives you some ideas for setting up your own editorial calendar. And be sure to check out Content Brew from Blog Clarity.